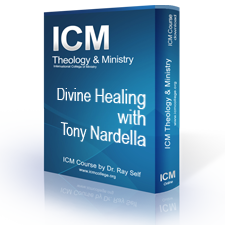 "Divine Healing" by Dr. Ray Self and Tony Nardella is a recording of a recent ICM "blitz" course. It is an in depth study of the desire of God to heal the sick. This course teaches the scriptural mandate concerning divine healing. It covers the usual objections and uses a clear scriptural path concerning this vital topic. At the end of the course you can actually hear divine healing being ministered. This course is a real eye opener and a must for all serious ministers of the word. It is not a long teaching consisting of only three audio sections but the student will find more than enough material to build their faith. All that is required for this course is a bible and pen and paper. 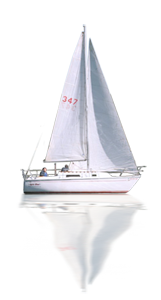 The teaching comes from the New American Standard version of the bible. Each recorded section has an accompanying student notes. It is valued at 3 credit hours for enrolled students seeking a degree.